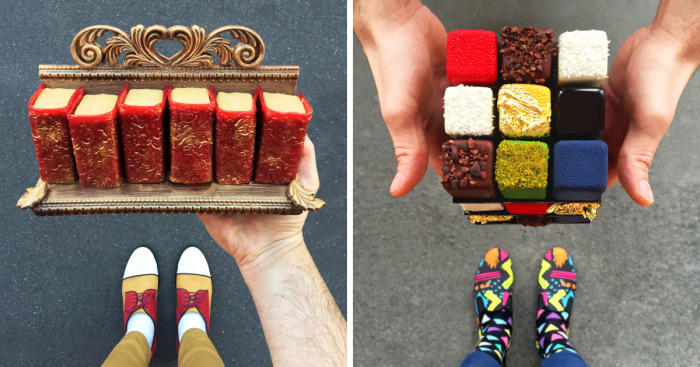 The Instagram account Desserted_in_Paris is showcasing each day a crazy beautiful dessert matched with men's shoes out of a personal collection. These are the latest crazy creations.  come join the daily treat. You can see my previous works here and here. OH MY GOSH are those flamingo eclairs? I really want to geomeTRY this dessert! Let's all break our new year's resolution with this delicious dessert! Yus! I've always wanted to each chalk coloured desserts. Delicious, that would've taken so much precision to make ! "here, i brought you two stones for dessert"
manly shoes with a manly dessert- magnifique! i take 10 pounds just looking at it! A box of macarons!! I honestly can't think of anything I'd like more right now. Love the shoes this time! Don't know what that is,but it looks yummy!!! Please tell me those are Oreo flavour. Not liquorice. Oreo. I remember , it's Paris . Noooo ! Planets been collected , super shrunk and placed in a box . Then eaten! Is that like marzipan or something?